Born in Trinidad, the son of an Indian civil servant, he studied English literature at Oxford University before basing his life in England. Many of his works examined the traumas of post-colonial change. Nobel prize-winning British author V.S. 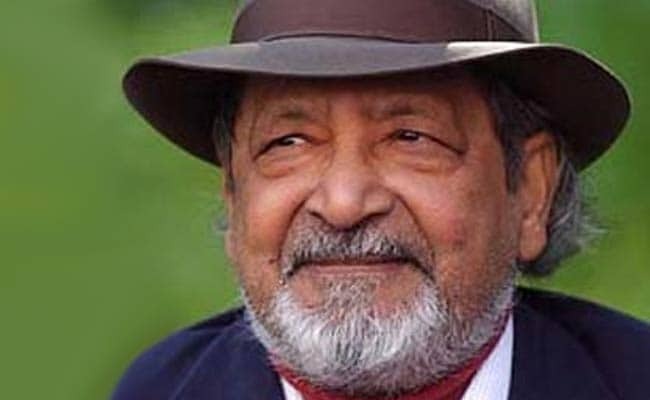 Naipaul has died at the age of 85, his family announced on Saturday. "He died surrounded by those he loved having lived a life which was full of wonderful creativity and endeavour," his wife Lady Nadira Naipaul said in a statement. He settled in England but spent much of his time travelling and despite becoming a pillar of Britain's cultural establishment, was also a symbol of modern rootlessness. Overall he wrote more than 30 books, and was one of the first winners of the Booker Prize, now Britain's leading literary award, in 1971 for "In A Free State". He was famously outspoken and had a reputation for cutting people out of his life, but once retorted: "My life is short. I can't listen to banalities." Naipaul's ire ranged from corruption in Indian politics to the West's cynical treatment of its former colonies to the cult of personality in "The Return of Eva Peron".